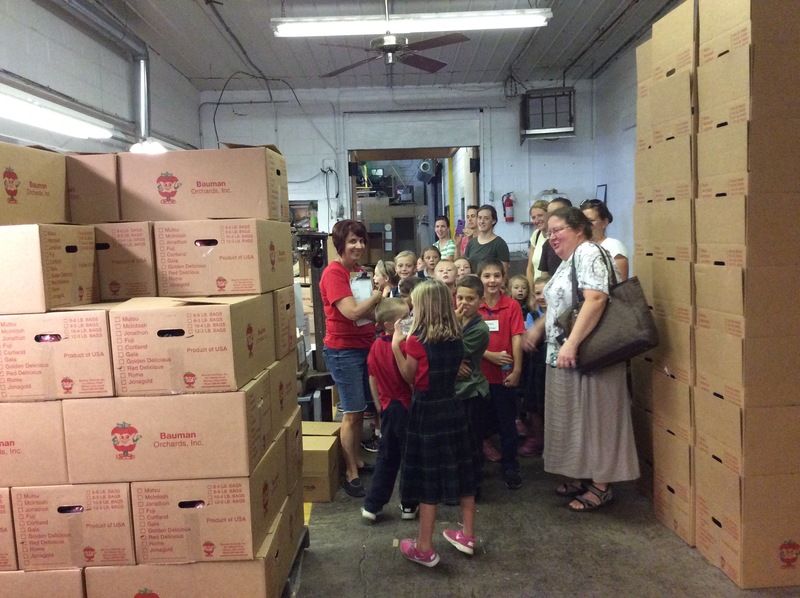 The School Tours opportunity is offered Monday through Friday in September and October. 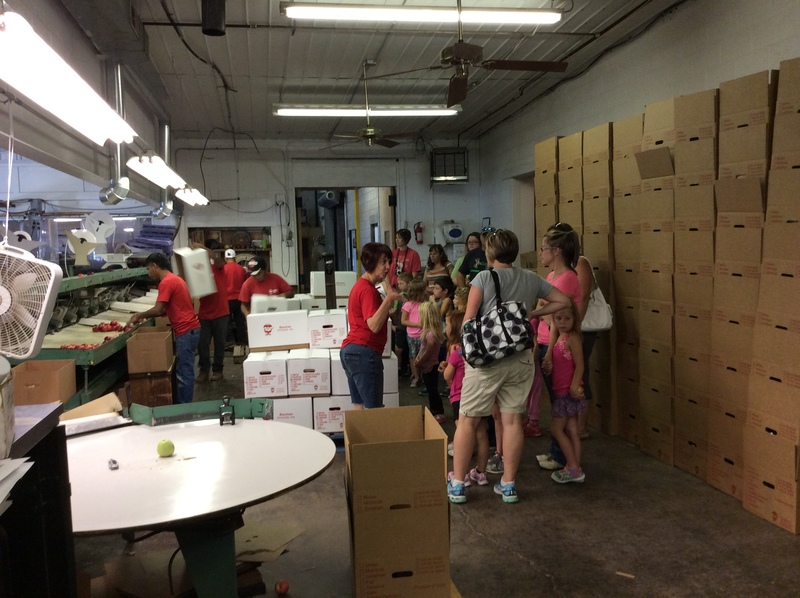 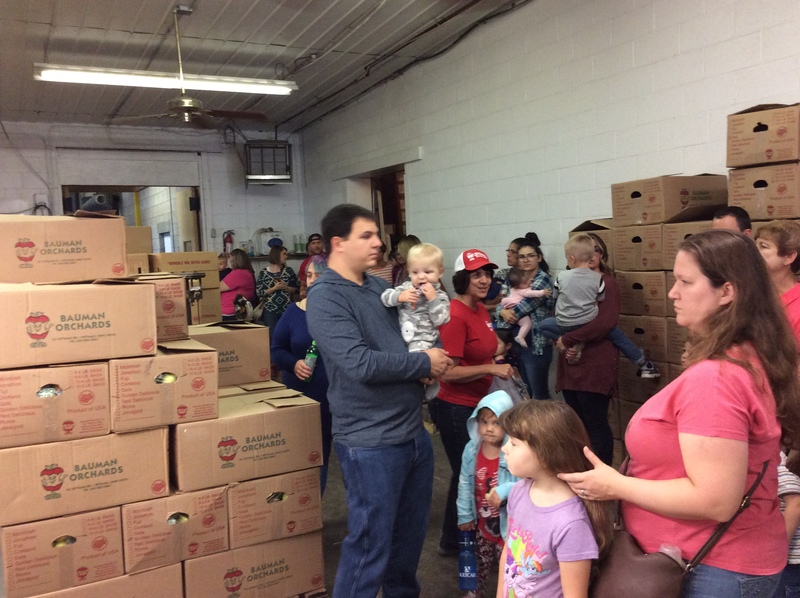 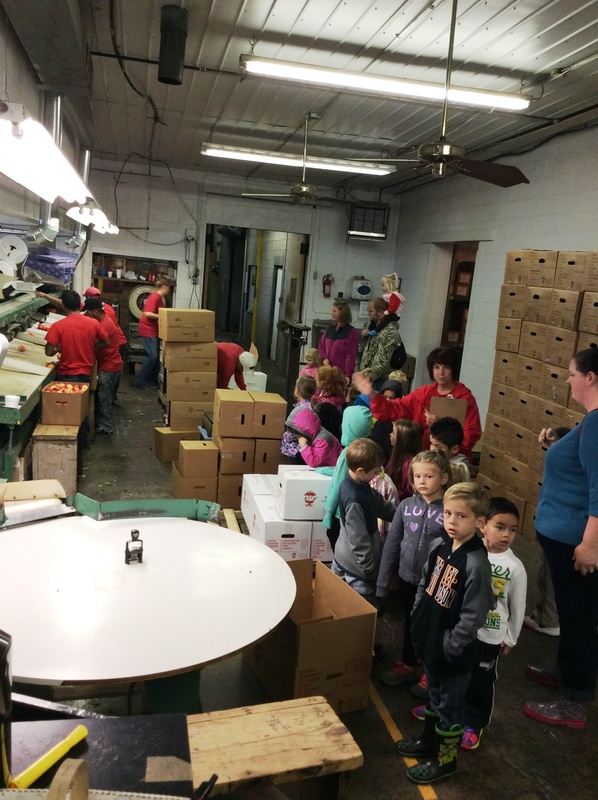 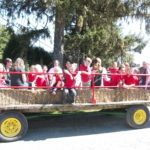 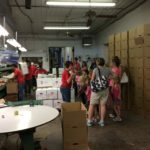 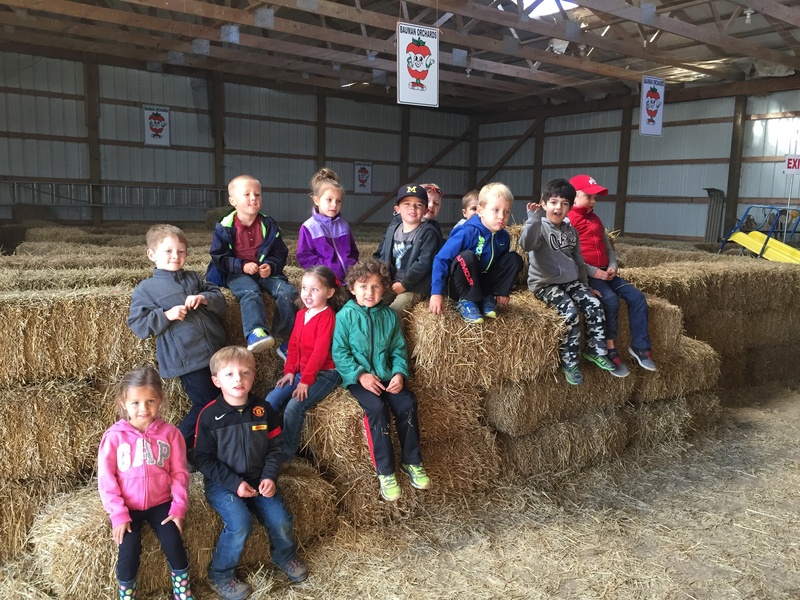 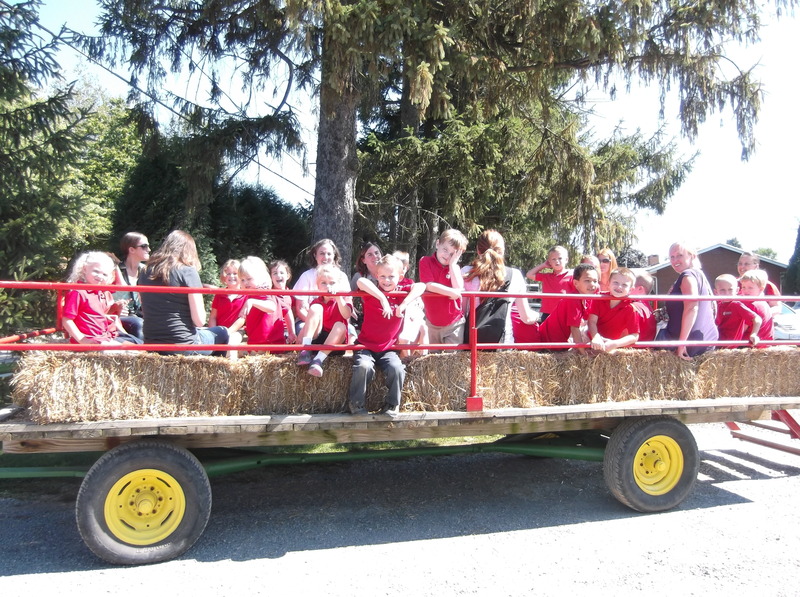 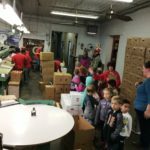 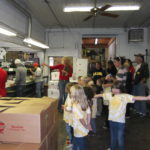 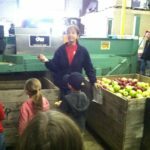 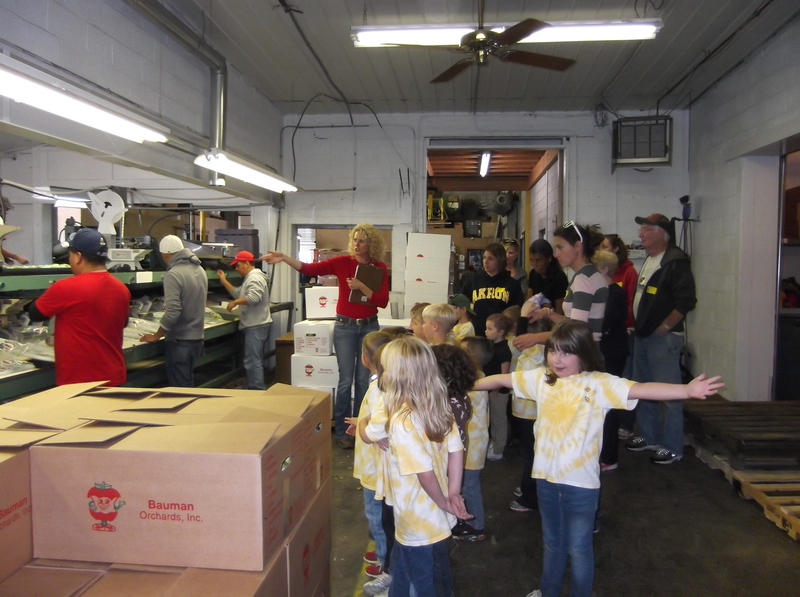 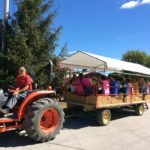 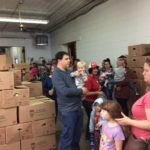 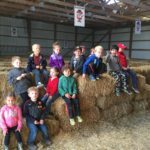 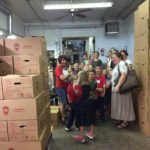 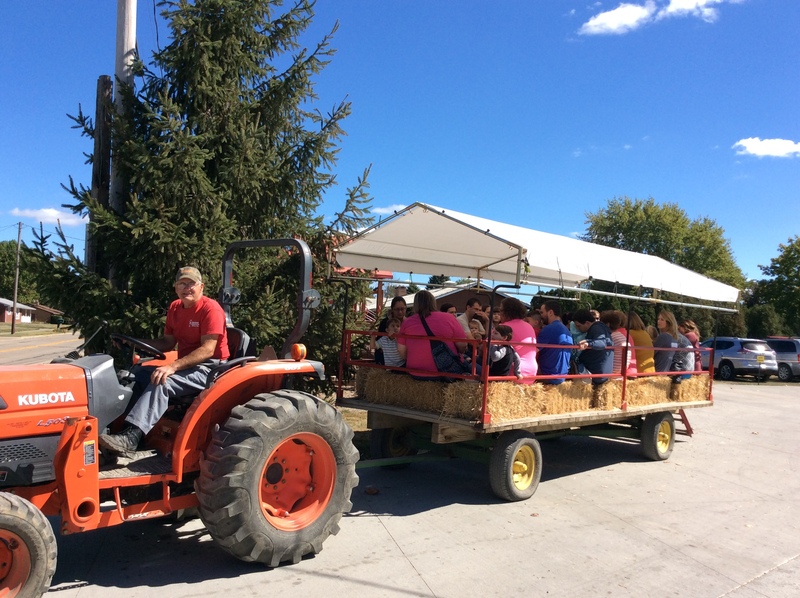 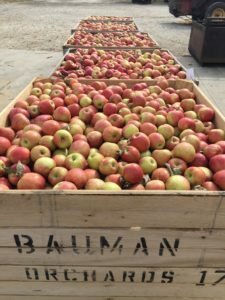 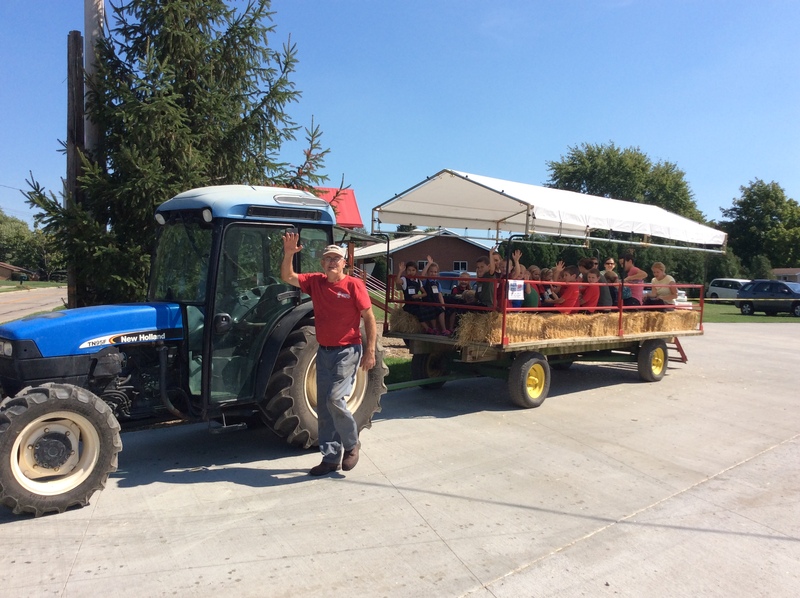 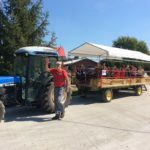 The school tours include a wagon ride into the orchard to pick an apple from a tree, touring the packinghouse for a glimpse at cider making and apple grading. 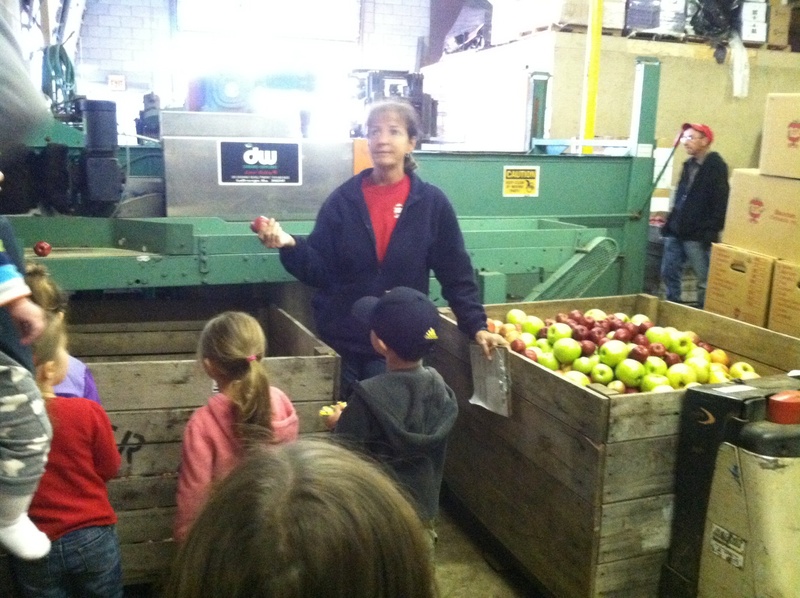 Each child receives an apple handstamp, a coloring book and a plastic sipper filled with Bauman’s own fresh pressed apple cider.